Ah, the 1920s. When you could get a really great hat for $1.95. What's that you say? You like the $2.95 hats? Pardon me, big spender. The image on the left is from Retronaut's new site, Anywhen; the one on the right was seen on Pinterest. 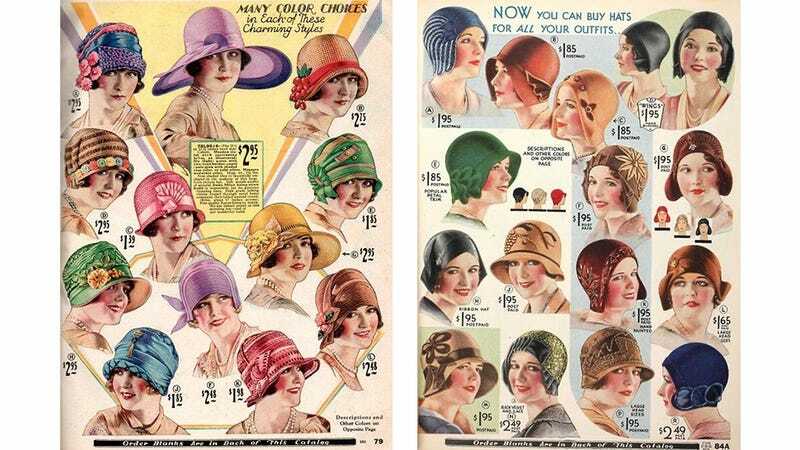 But more pressing: Which hat do you want to buy?